Rugby Festivals. Warm Weather Camps. Southern Hemisphere Mega Tours. Welcome to a World of Rugby! Bring your team on an incredible tour to our home, the beautiful island of Ireland. Take your club team on a rugby tour that they will never forget! Head to Europe or beyond with our excellent bespoke tours that will be created to suit your destination, tour outcomes and also your budget. Want an end of season getaway? Get your quote today! 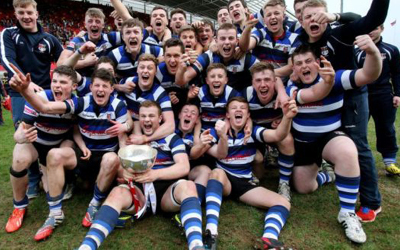 What better way to bring your Junior or Senior Cup team together than with a rugby tour? With fantastic locations in Spain, Portugal, Italy or the UK your players can experience top class rugby action ahead of cup competitions and also take in the culture in some historical European cities. Ireland is one of the most beautiful countries in the world. We are also fortunate to have a plethora of rugby talent across all corners. We have provided tours in Ireland to France U19 International teams, Barbarians Rugby & the Tonga senior International team. 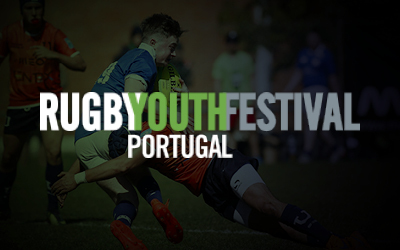 Take your team to a competitive rugby festival in Europe where they will play teams from across the world. With tournaments available in Portugal, Spain, Holland, Italy, the UK and Ireland, we will get your team to the best tournaments for teams in Europe. Choose your destination, tell us for how long you want to go for, how many you want to bring on tour and your budget. 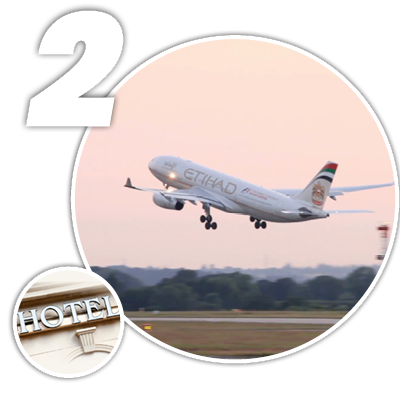 We create some brilliant packages using only the best suppliers to get you flights, hotel, transfers, facilities and activities. You book with us and go on tour with zero stress. We give you a detailed itinerary and a dedicated liaison officer travels with you. After, you will be planning your next one! 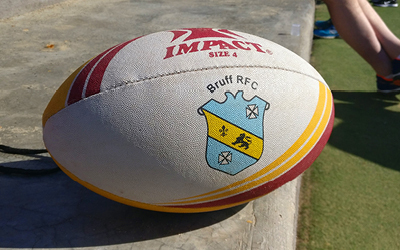 We create fantastic bespoke rugby tours for your club, school or college. Let our expertise and knowledge take the stress out of your next tour whilst ensuring it is also the best tour you have ever been on. We are all rugby people at Rugby Travel Ireland and our passion and professionalism really does make all the difference. 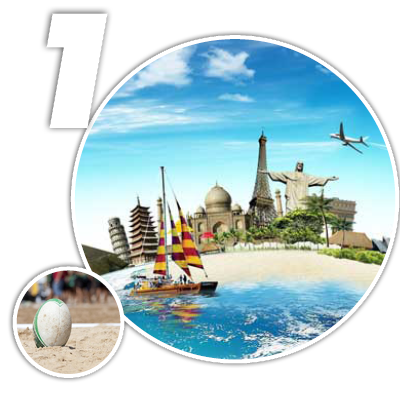 We have well over a decade of experience in rugby travel and sports tourism. 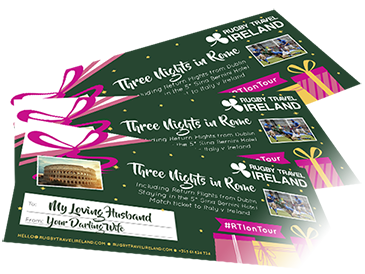 Rugby Travel Ireland offers incredibly innovative tours across Ireland, Europe the Southern hemisphere and North America. We have also taken thousands of supporters around the world on our official supporters tours including the British and Irish Lions, Rugby World Cups and Six Nations Rugby. We are fully bonded and licensed with the Commission for Aviation Regulation ensuring that your monies are protected at all times. From the very first time you contact us you will receive a very prompt and friendly service. We will provide a quick yet comprehensive quotation as the starting point. If you get a better price for the same standard of tour we guarantee that we will beat it. Rugby Travel Ireland were extremely organised, caring and always there for us from start to finish. Portugal has fantastic beaches with the weather to match which makes it a great location for a European rugby tour. There is a brilliant festival in Lisbon that we take underage teams to. There is also a fabulous beach side town half way between Lisbon and Porto that offers an amazing array facilities that are ideal for serious training or a weekend of rugby and fun. French clubs are extremely welcoming to touring teams. From Paris to the rugby heartland of the south-west, France is one of the best rugby countries in the world to tour to. With such a large number of rugby clubs at all levels we can easily organise a blitz with local teams. Good value and great food is assured. Spain is an excellent choice of location for a team tour as they have great weather and fantastic facilities. We have organised numerous tours to Spain for underage teams looking for some fun matches as well as fun activities. Italy is fast becoming a hot tour destination as it has a great combination of rugby, weather, culture and nightlife. It is one of the cheapest European destinations but with no dilution of facilities or services. Holland is great for your not so typical rugby tour. Whether you want to experience the infamous night life of Amsterdam, the famous windmills and tulips or see the modern architecture of Rotterdam, the Netherlands never fails to disappoint. The UK is a great destination for rugby tours with so many cities that are enshrined in rugby culture that also have a great night life. Travelling to/from Ireland is easily done by either plane or ferry. Particularly popular tours are our coach and ferry options to Wales or Manchester area. This represents great value and often an ideal starter tour for underage club teams, school teams and colleges. Australia is one of the ultimate team tour destination with awesome beaches, practically guaranteed weather and a wide variety of teams ensuring you are well matched on the pitch. Our tour experience to Australia includes The British & Irish Lions Tour 2013 and for Ireland’s tour in June 2018. We have a large number of great contacts in Australia who are always very keen to host touring sides. New Zealand is probably most rugby peoples Holy Grail. As a company we have lucky to have been there over ten times. Our knowledge of those special places and special people really does add to the success of a tour to New Zealand. Although the sheer size of Canada can be daunting, it is easily accessible from Western Europe and Ottawa and Montreal are especially great places to play rugby in. Canada have injected big funding into rugby and have highly competitive womens teams. Rugby is very spread out in the USA. Rugby is strong on the west coast in both San Francisco and Seattle. On the east coast there is rich rugby belt that runs from Boston down to Washington including New York and Philadelphia. This is by no means an exhaustive list and if you want to tour the States you will get one of the warmest welcomes in world rugby. If we had to pick one country to tour to it would have to be South Africa. Stunning scenery, amazing rugby mad people and incredible value all add up to make the Rainbow Nation a must visit for a rugby team. We have led numerous tours to South Africa and the most popular trips centre around Cape Town, Stellenbosch and the famed Garden Route. Challenge your team against some of the best opponents around in one of our rugby festivals. Festival locations include Portugal, Ireland, Spain and the United Kingdom. Get in touch to book a place in one of our excellent rugby festival now. Ireland’s capital is a main attraction for any tour to Ireland. With many sights to see and plenty of teams, Dublin is a great choice for a rugby tour. The Guinness Storehouse, Temple Bar, The Irish Whiskey Museum and a walk through the Phoenix Park are top of the list of things to do in Dublin. If the fixture list ties in with your tour dates we will incorporate watching Leinster, one of Europe’s most successful club teams. Killarney is the gateway to the famous Ring of Kerry. If you are looking for amazing scenery, traditional Irish music and the best pints of Guinness then include Killarney on your tour. It is not a traditional rugby stronghold because Kerry is the most successful Gaelic Football county in Ireland. However, there are many junior rugby clubs just waiting to invite you for a match and look after you post-match! Limerick is a city of rugby that stands strong as the home of Munster, who have lit up world rugby with some of the most historic European games ever played in Ireland. A visit to Munster’s stadium, Thomond Park and its Rugby Museum is a must. Without doubt, Limerick is an ideal destination for touring teams. Cork is Ireland’s second largest city with massive culture, diversity and people who take great pride in their history. Be sure to make time to kiss the Blarney Stone! They are many rugby strongholds in Cork and a great night life to boot. The ‘People’s Republic’ is always inviting and great craic is guaranteed. Go on an adventure in Belfast with Black Cab tours down the city’s historical streets. The phenomenal Game of Thrones tour is always a firm favourite along with the Giant’s Causeway and the internationally acclaimed Titanic Exhibition. Belfast is the home to Ulster Rugby and their wonderful Kingspan Stadium is a caldron on match days. Ireland’s west coast and Wild Atlantic Way provide a fantastic setting for a picturesque tour with a great night life. Galway city is a hotpot of activity and is home to the Connacht pro team. When travelling to/from Limerick we include the iconic Cliffs of Moher which are a fantastic spectacle that needs to be seen to be fully appreciated. We had a great tour! Couldn’t be happier. Will definitely travel with Rugby Travel Ireland again. Get in touch with our team and start planning your team tour.